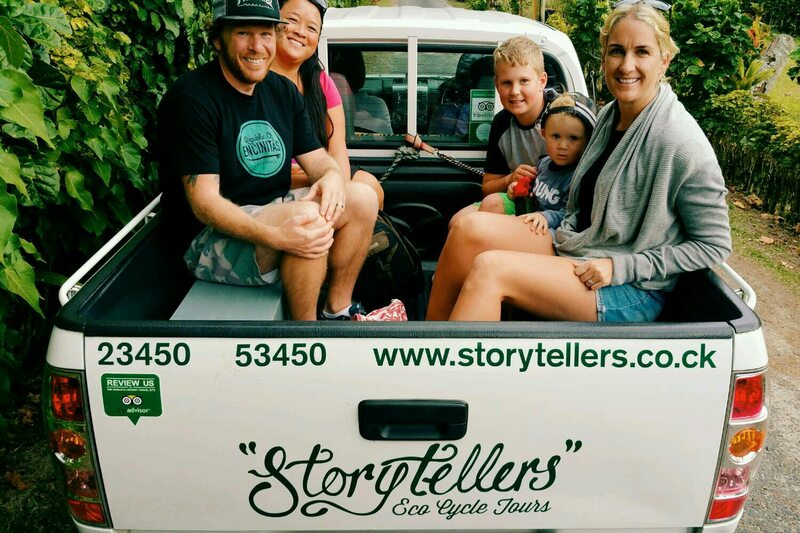 I was so excited to make contact with Dave and Natavia from Storytellers Eco Cycle Tours. So much of Rarotonga’s tourism is focused on ocean activities (justifiably so) but there is also a huge cultural story to be told on the land. 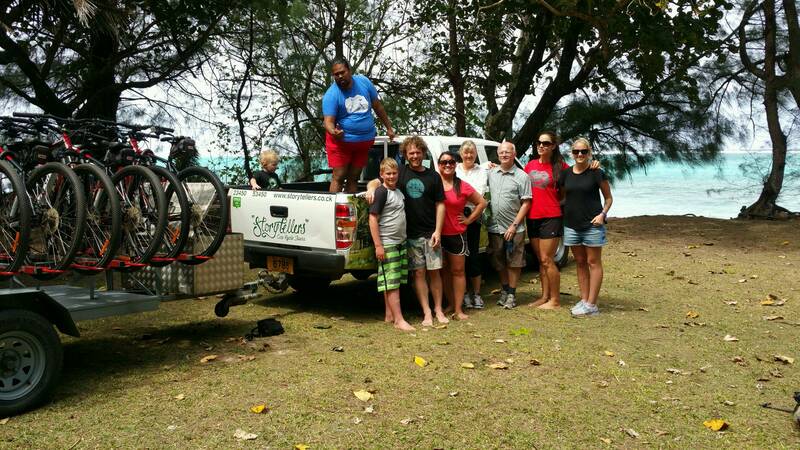 Dave picked us up on the morning of our tour and we rode island style – in the back of the ute! – to our starting point. Because we had Nixon in tow, the three hour Discovery for Families Tour was perfect for our group. After a comprehensive safety briefing and a prayer for the road, we set off with local guide Jimmy in the lead. Prior to setting off, Natavia asked all of us if there was anything we were interested in focusing on during the tour ie farming, plants as medicine, history, birds, wildlife etc. Our Avanti bikes were amazing, super comfortable and with great suspension for navigating the Rarotongan roads and heading into the bush. 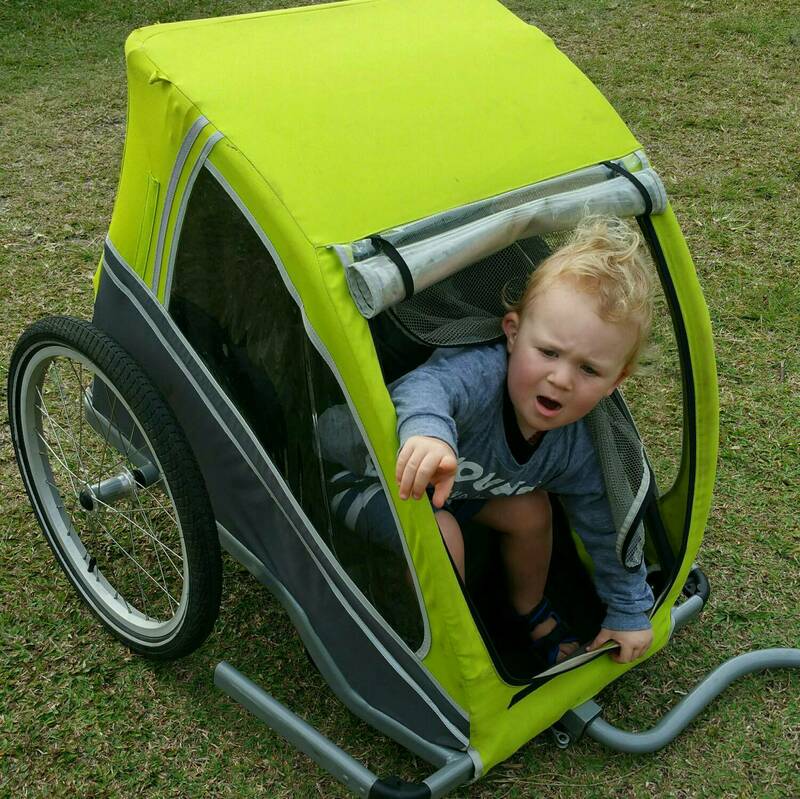 Nix was riding behind Dave in a sweet trailer, complete with a perfectly sized toddler helmet….. that he wouldn’t wear lol. 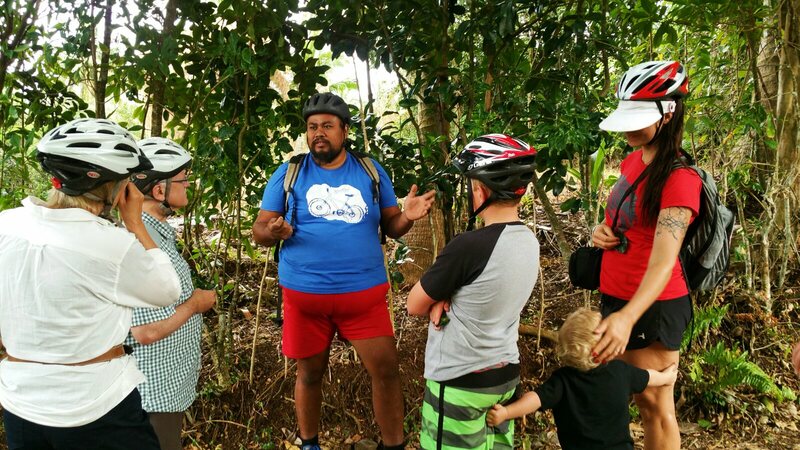 Jimmy was a fountain of local knowledge, at our first stop he introduced us to a small pineapple plot, the two variations of farming taro, manioto, banana, cinnamon, edible flowers, we sampled coconut of various ages, fed piglets and learnt about basic bush medicine. Natavia took the lead soon after as we pedaled on to a Noni plantation. 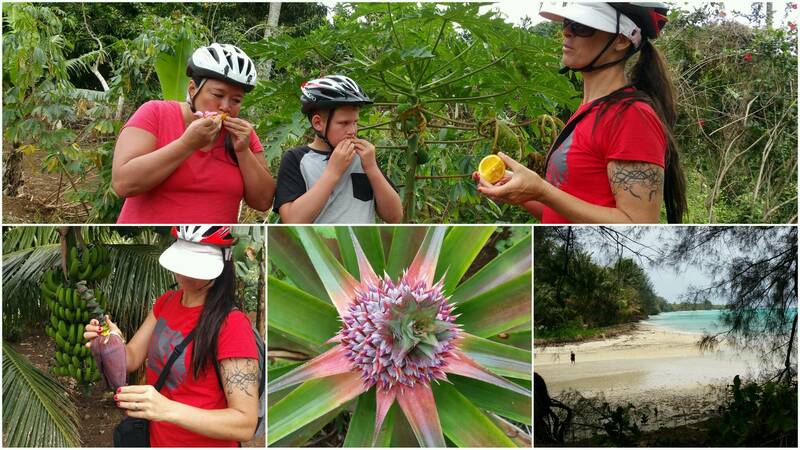 We ate fresh noni and smelt the revolting pungent, fermented noni that is eventually processed into the super popular noni juice. Storytellers has permission to take visitors onto the eerie site of the derelict Sheraton Hotel. Hearing the tale of this historical icon from a local perspective, amidst the ruins was very cool, but also provided lots of food for thought about the actions and accountability of big business in tiny island nations such as Rarotonga. 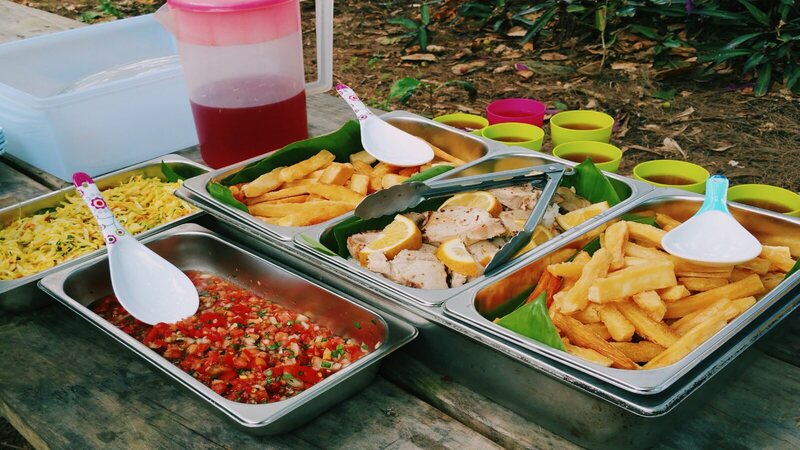 We concluded our tour at a beautiful clearing on a private beach, ready to enjoy a traditional lunch of fish, rice, maniota fries (aka the BEST food ever! ), salsa fresca, coleslaw and fruit prepared by a local mama. I loved this excursion so much. Owners Dave and Natavia were such a joy to talk with, as was our guide Jimmy. I was a little surprised at how much Ethan (aged 10.5) enjoyed the tour. He loved being off the beaten track, in the bush and learning about the native flora and fauna – plus there was always something yummy to eat, Jimmy kept the boys supplied with fresh oranges, bananas and coconut found along the way. 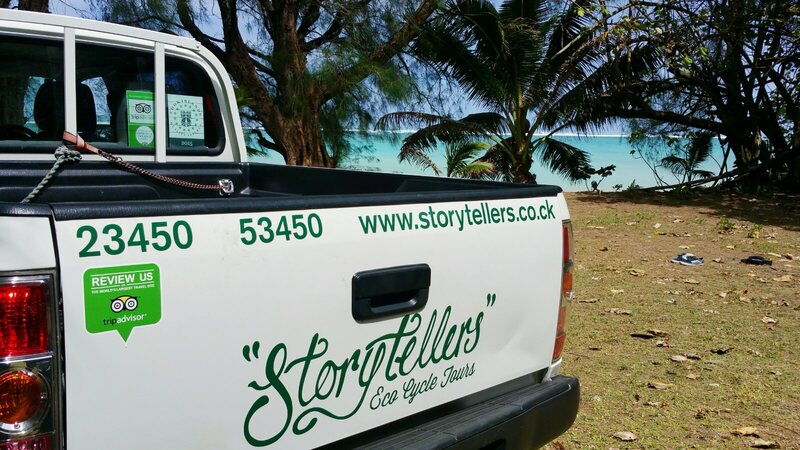 Storytellers is definitely a point of difference in the Rarotongan tourism industry and a wonderful one at that. Suitable for most ages and levels of fitness, getting off the beach and onto a bike is worth every penny. 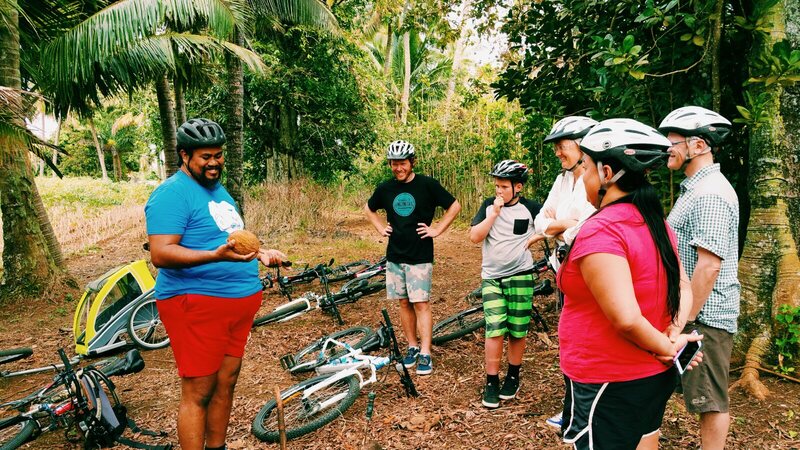 ** We were generously hosted by Storytellers Eco Cycle Tours, however, all opinions expressed are my own. The Best Nest goes to Rarotonga!